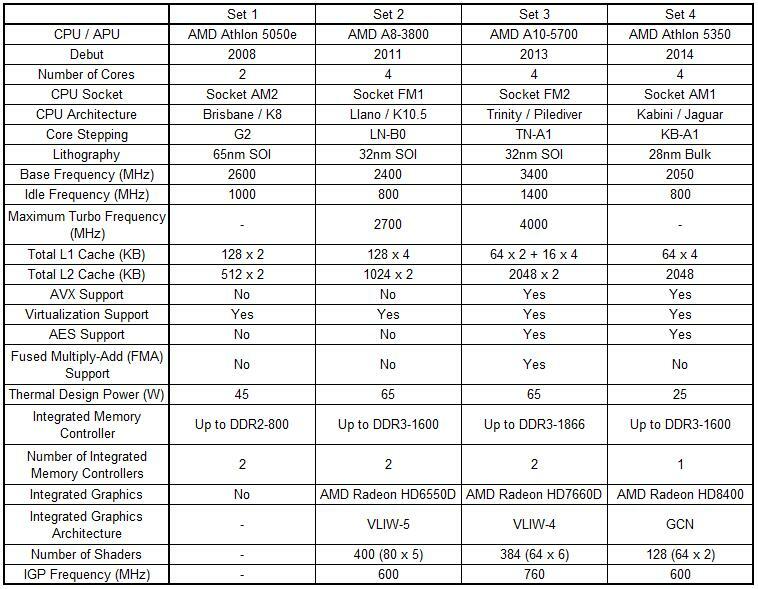 The CPU / APUs used in the test are detailed below. The testing platform is as follows. The platforms were kept as consistent as we could.